In most states of the US, the autumn season can be quite pleasant, like the leaves of the hardwood forest begin to change color and reveal a magnificent view for a short week. In the North, the warm sunny days with cool nights begin in the South, it is an end to the oppressive heat of mid-summer and the onset of more pleasant temperatures. In other words, the last days of summer fade and fall start to take the center stage. Hence, it’s time to prepare your automobile for autumn which soon brings colder and more hazardous weather. Much as you enjoy your pumpkin spice latte and some fall festive or events, taking care of your car should be one to be attended to. 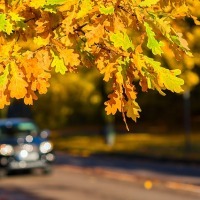 Here are practical tips to make sure that your ride is ready to get you through the autumn season.